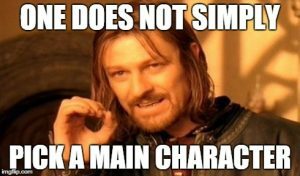 There’s only one main character in a story. Why? Because a story is about the group experience of trying to achieve a goal. When people come together around a common issue in the real world, they quickly self-organize so that one becomes the Voice of Reason and another the Resident Skeptic, for example. In essence, each “character” in a group endeavor takes as his job one of the major attributes we all have within our own minds. In this way, the group benefits from having specialists to look into each point of view exclusively, which provides greater insight to the group than if we were all acting as individuals, each trying to see the problem from all angles at once, as we do with personal problems. And so, the group takes on the nature of a group mind in which our primary attributes are represented by people. In fiction, this group mind is called a Story Mind, and each of the people are the archetypes. This forms the basis of narrative structure. But who is the main character among all of these? In real life, one of the archetypes will emerge as the leader who represents the identity of the group, such as a the CEO of a company, the team leader in sports, or the President of the United States. Those who are part of the group assume the mantle of that identity, and the leader is the personification of the group mind’s sense of itself. In fiction, that character is the main character, for it is through his or her perspective that the readers or audience experience the story in the first person. This main character may or may not be the protagonist. The protagonist is the archetype who represents our initiative – the drive to affect change. Every group mind has one. But that person is not always the leader. The leader is the spirit of the group, the protagonist may be his principal operative. And so it is in fiction. Any of the archetypes might be the leader. So that leader might be the antagonist, for example, trying to maintain the status quo and prevent change. Or it might be the reason archetype who insists that all decisions are based on logic. Still, though the leader may be any archetype, there will only be one avatar for the group’s sense of self, one main character in the story mind. For, just as in our own individual minds, we think therefore we are. There is only one voice inside that is our identity, our sense of self, who we are. (Unless, of course, we are mentally ill, just as a group mind might be dysfunctional in the real world if it has more than one identity – more than one voice that speaks for the group or tries to define the feel and essence of the group. So, in your own stories, be sure you only have one main character. But if you want to write about other characters in your story and see how it looks through their eyes, create a sub-story around that character that doesn’t involve the others. Then, you can populate it with people such as his family or his religious group, and his personal story will allow you to stand in his shoes in that regard. 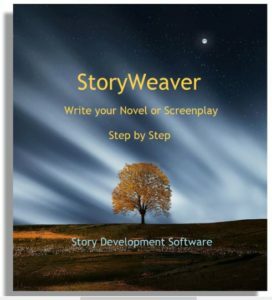 Be certain, however, that you do do not confuse your readers or audience by writing your sub story in such a way that this sub main character is mistaken for the overall main character, as this would create a dysfunctional story. Still, it is important to develop the individual natures of every character so the readers or audience can identify with them more easily as being like real people. And this prevents your story from being about just one person surrounded by an army of automatons. 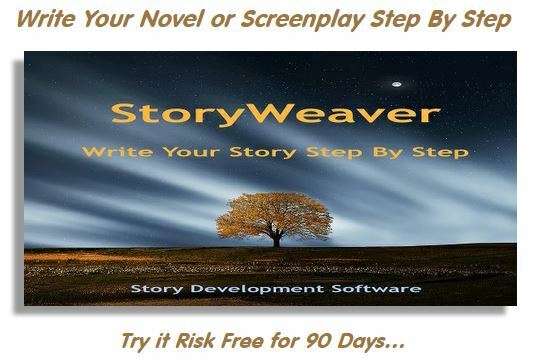 After all, each of us is the main character in our own personal narrative. This entry was posted in Building Characters, Story Structure. Bookmark the permalink.